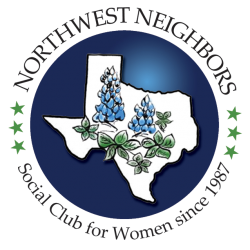 Northwest Neighbors (NWN) is a non-profit social club for women who reside in the Northwest Austin area of the great state of Texas. The object of the organization is to help women in our area become better acquainted with each other and the community. Our activities include a Monthly Luncheon with a speaker or program held at the Twin Creeks Country Club, as well as our many Interest Groups, where smaller groups of members get together at various locations to share common interests. There are no specific borders that limit participation in our club and we currently have members from Northwest Austin, Cedar Park, Leander, Georgetown, Pflugerville, Round Rock, and as far as Marble Falls. Whether you are new to the area or have lived here for years, you are welcome to join us. I search for miracles in everyday life. Some say a miracle is when God bends the laws of nature. I believe it’s a miracle that I get up out of bed every morning. I guess, for me, it is the little things that matter. Each day is a blessing and I want to search for the reverence in my daily encounters. I have enjoyed being your president, but most of all, just being with you. I want to thank all the individuals who have been positive influences in our club along with those who have helped with making the luncheons fun and for each role that our interest group chairs play and for the executive board and holiday luncheon chairs. I want to extend my condolences to each of you who has experienced the loss of a love one and I wish you strength and good health and happiness. 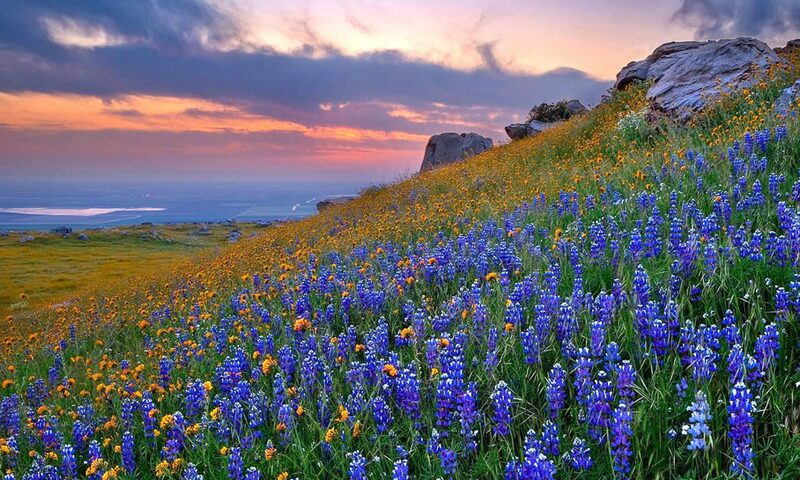 Let us rise up and be thankful, for if we didn’t learn a lot today, at least we learned a little, and if we didn’t learn a little, at least, we didn’t get sick, and if we got sick, at least, we didn’t die; so let us all be thankful. We have consolidated all our password protected pages in one section called MEMBER RESOURCES. In this section you will find: Newsletters, Member Announcements, Directory, Member Forms, and Administration. Username and password are available to members only and will be given to you when you join – or for current members, by e-mail whenever there are changes. If you are a member and have any questions about accessing our password protected area, please e-mail northwestneighbors.austin@gmail.com for help. April 2 – Home of Sue F.
May 7 – Home of Dolores Z. Contact info is in your Directiory or current newsletter. If in a home, please call the hostess first to check. Make a Change to an Existing One! For those of you interested in forming a new Interest Group or making a change (name, meeting time, etc.) to an existing one, the wondering about how to do it is over! Everything you need to know (procedure and form to submit) is in our Member Resources section under the sub-heading, Member Information. Member Resources is listed on our Menu at the top and is password protected – you will need to sign in. please contact your Website Chair, Mare W.
It is important that you do not approach Great Hills CC staff to request any change to your luncheon meal or to register complaints. The menu is set and you have one alternative choice that can be pre-ordered if you do not like or cannot eat the main entrée. On the day of the luncheon, no changes or substitutions can be made. If you have any problems with the meal, please tell our NWN luncheon chair or our president and they will speak with Great Hills staff, if necessary. The GHCC staff have been told to refer any NWN members’ issues regarding the meal to our president or Luncheon committee. Thank you for your cooperation! to compensate for their gasoline. for that charge if a sub cannot be found to fill your place. receives your payment as soon as possible. Magnetic name badges are available for those of you who want to purchase one. These name badges can be worn not only at our luncheons, but are great for identifying yourself at our many interest group meetings as they can be taken home with you! These badges are very helpful for those of us who, at times, have trouble remembering names we know we should not have forgotten! These badges attach with magnets and will not harm your most delicate clothing. If you have a pacemaker and shouldn’t wear anything magnetic, these badges can be ordered with a pin backing. The cost is $9.00 per badge. Sales tax is included in the price. You may order by signing up on the order sheet at the luncheons or by e-mailing your request (name to be on badge, your address and phone number) to: northwestneighbors.austin@gmail.com. Please note that our usual hang-around-your-neck name tags that are set out at the luncheons will still always be available to every member. The purchase of these magnetic badges is optional. P.S. When you have a magnetic name badge, the hang-tag makes a very nice place card to hold your seat! Members are reminded that all activities in Northwest Neighbors are governed by reservations, either formal or informal. All chairpersons and hostesses rely on an accurate attendee count to plan activities, purchase lunches, and organize car pools. It is especially important when Bridge, Canasta, and Bunco must have equal tables of four members to have a successful game. Please realize that your reservation is your commitment that you will participate in the selected event. If unable to attend the function, it is always your responsibility to cancel within a reasonable time or find a willing “sub” to attend and pay for the event in your place. When reservations are not cancelled and the chairperson is faced with a “no show,” it causes a hardship on all. This is also important at meetings of, for example, Craft Club or Supper Club or Culinary Arts or any group that depends on a certain attendance level and plans time, food, etc. accordingly. The Board has made it a policy that any reservations where a payment is involved that are not properly cancelled within a “reasonable time frame” (or by reservation deadline, if there is one), will result in the member holding the reservation being responsible for payment, regardless of circumstance. Of course, the chairperson will always do her best to find a last minute replacement, and most of us, as a “sub,” are willing to pay for the lunch we consume or the activity in which we participate. This policy is in place to protect the chairpersons in instances where the cancelled reservation will personally cost her money to continue the activity, pay the luncheon costs, or properly pay out full prize money. Thanks very much for your cooperation in this!